Cape Cod, Massachusetts is, roughly, a 70-mile peninsula divided into 15 towns. It is one of the furthermost points of land in the eastern US, with its hooked arm jutting out 40 miles into the Atlantic Ocean. Some of the towns date back to the 1600s, and. John F. Carafoli is an internationally known food stylist, consultant, and food writer. He wrote the seminal book Food Photography and Styling and two children's cookbooks, Look Who's Cooking and The Cookie Cookbook. He has been published in the New York Times and Gastronomica. He presented papers at the prestigious Oxford Symposium on Food and Cookery in England and organized the biannual International Conference on Food Styling and Photography at Boston University. Currently he is working on a historical, American-Italian, emergent cookbook. 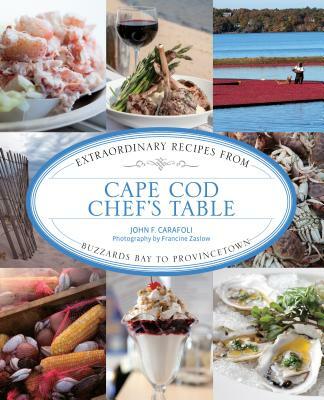 He has written a quarterly feature "In Carafoli's Kitchen" for the magazine Edible Cape Cod, and won an Eddy award for the best use of recipes in an article. Carafoli has also been featured on the Food Network and NPR.